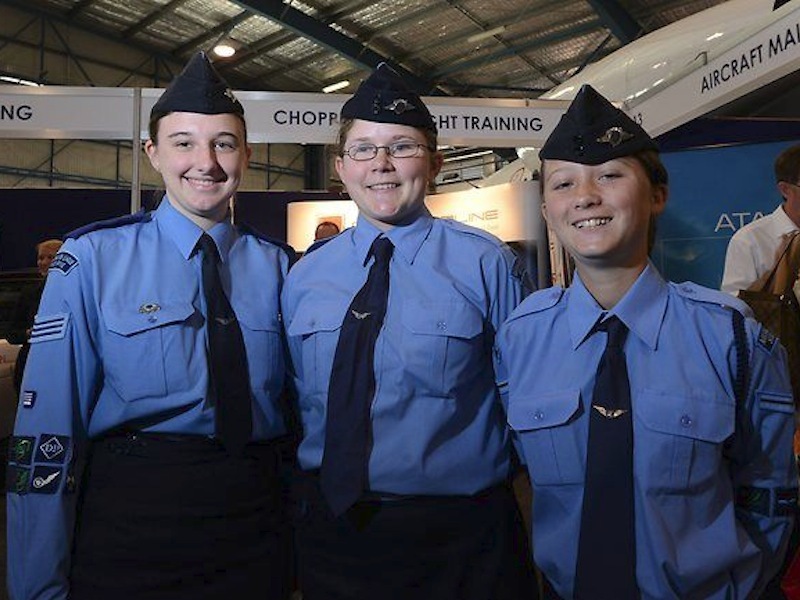 Queensland Cadets on Target for Aviation Careers Expo. Cadets from several Queensland Squadrons will again represent the Australian Air League and Queensland Group at the upcoming Aviation Careers Expo on Saturday August 24th, 2013. This world class showcase aviation event, which includes an outdoor static aircraft display, is conducted in facilities adjacent to the Brisbane Airport Precinct by Aviation Australia, a major aviation training provider and generous sponsors of the Air League’s participation. Exhibitors range from aviation training organisations and employers, both Australian based and international, to corporate, education and government organisations; attending the Expo to connect with prospective aviation industry candidates in all areas to encourage participation & entry into aviation, from pilot to engineer qualifications and many other diverse industry & associated fields. The Australian Air League is recognised by Aviation Australia as filling a valuable niche in preparing youth across a wide spectrum for a life in aviation, and our presence at the Expo in 2012 realised several direct opportunities and industry connections for the League and its youth membership that have yielded long term dividends. In 2013, uniformed Queensland League members will be assisting with RACQ CareFlight roving fundraising and staffing a CareFlight sausage sizzle in addition to operating their own brand new Air League display with newly released flyers & posters, a paper plane “Youth On Target” challenge and conducting regular drill demonstrations. For more information contact: development.qld@airleague.com.au or 1800 502 175.